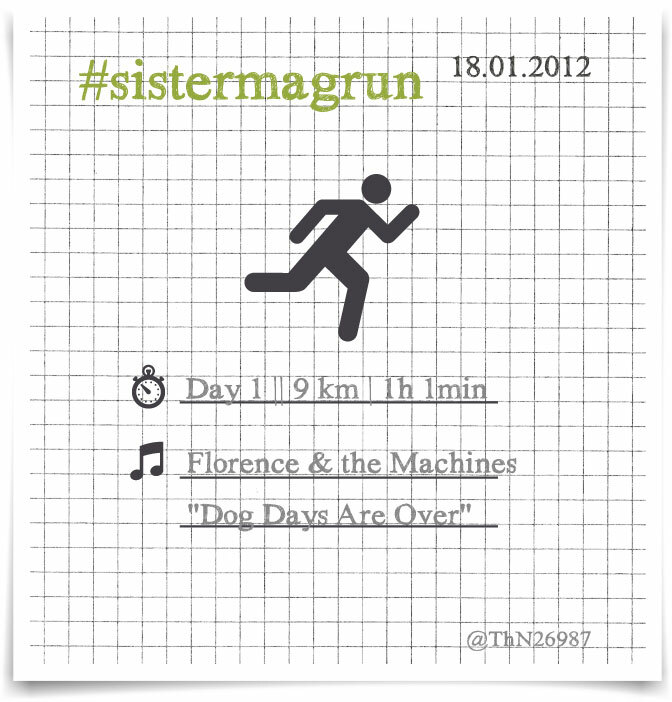 Neu4bauer: #sistermagrun challenge starts today! As described in this post on the sisterMAG blog we took inspiration from Heidi Klum's SummerRun, which you probably followed on this blog in summer 2011 and created our own jogging-and-walking-motivational tag for Twitter called #sistermagrun. With the new year and our first issue of sisterMAG just on its way (we will release the launch date soon! Exciting! ), we also want to start some of our core activities. Naturally we cannot ask our readers, friends and followers to join into a movement we are not part of ourselves! The first part of the #sistermagrun activity is really easy. Each one of us should create a challenge for ourselves. One that is ambitious enough to feel good about the achievements, but also something which can be easily integrated in the everyday routine! The realization of the traditional "resolutions" starts late this year, because I just came home from quite a strenuous city-hopping in the last three weeks. However I did start with jogging in London already and found a wonderful route around Kensington Gardens! I will tell you about that later on in the challenge. Realistically I will have about 4 days I won't be able to go jogging in the course of the next month. That's why I introduced the 10 "jokers", which I can use any day! Other than that there is no miles challenge or time range. It is more about the motivation to get out every day!! At the end of each week there will be a little summary of the week's course on sisterMAG blog with the new songs for our playlist. Perhaps one or two of you will join me? Our dedicated #sistermagrun site will be running in a few days time where we will feature all runners and participants! We are excited to finally get started! Just name your own challenge and work on these resolutions of 2012!! If you decide to participate, do write to us at mail@sister-mag.com or via Twitter to @sister_mag or @ThN26987!! Wie im Post auf sisterMAG beschrieben, haben wir uns den Heidi Klum SummerRun zur Inspiration genommen und eine eigene Aktion ins Leben gerufen namens #sistermagrun. Im Sommer 2011 konntet ihr ja bereits die erste Challenge auf Neu4bauer miterleben. Mit dem Beginn des neuen Jahres und der ersten Ausgabe des sisterMAGs im Entstehen (das Launch-Datum wird bald bekanntgegeben. Wie aufregend!) wollen wir auch mit den von uns geplanten Aktivitäten beginnen. Natürlich können wir unsere Leser, Freunde und Follower nicht bitten, bei Aktionen mitzumachen, die wir nicht selbst durchführen ;). Der erste Teil der #sistermagrun-Aktivität ist auch ganz einfach. Jeder kann nämlich selbst die Herausforderungen stellen und somit die "Challenge" festlegen: eine Aufgabe, die ambitioniert genug ist, um sich nach Realisierung gut zu fühlen, jedoch auch realistisch genug, um sie in den Alltag einbauen zu können. 40 Tage – mind. 30 Runden – 10 Joker – eine Jogging-Runde jeden Tag – ein Lied/Song zu jeder Runde – ein täglicher Twitter-Report mit dem Hashtag #sistermagrun. Realistisch gesehen habe ich in den nächsten 40 Tagen ca. 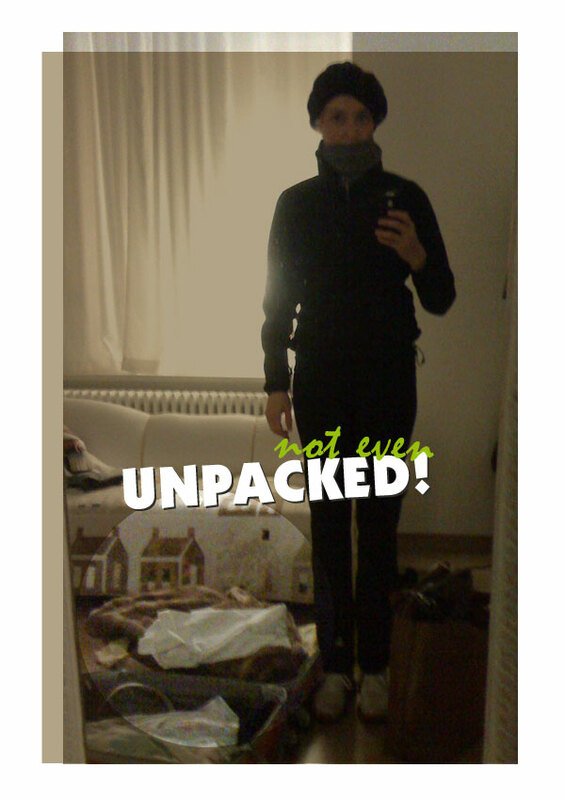 4 vollgepackte Tage, an denen ich eine Jogging-Tour kaum schaffen werde. Deshalb gibt es die 10 "Joker", welche ich an jedem beliebigen Tag anwenden kann. Darüberhinaus gibt es keine Kilometerzahl oder Zeitvorgabe! Es geht mehr um die Überwindung, jeden Tag hinaus in den Winter zu laufen. Jedes Wochenende gibt es eine kleine Zusammenfassung der Woche auf dem sisterMAG blog mit allen neuen Lieder unserer Playlist. Vielleicht macht ja der eine oder andere von euch mit? Unsere #sistermagrun-Website wird ebenfalls in den nächsten Tagen live gehen und die Mitläufer können dort erscheinen. Wir freuen uns, endlich anzufangen! Stellt einfach Eure eigene Challenge auf und fangt an mit der Abarbeitung der Vorsätze für 2012. Wenn ihr mitmacht, schreibt uns auf jeden Fall an mail@sister-mag.com oder über Twitter an @sister_mag oder @ThN26987!! This is a cool idea! I've been looking for a way to get motivated, I might have to give this a try! Thanks!